9 Avoid Violence at All Cost! It is not unheard of to come across certain people during the course of your life who just make your skin crawl. They might say or do things that may be uncalled for and generally raise your blood pressure. But a big part of being successful in your career and life is to know how to deal with people who hate you. Not through violence or “getting even”, but by showing them how little they matter to you. Okay, so this might sound like the most obvious thing in the world and it probably is, but it is for a reason: it works. 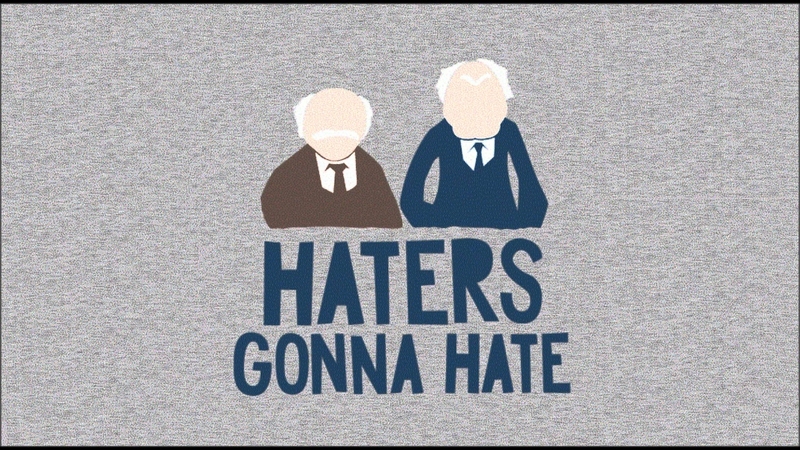 Your haters are like the bullies in grade school. They are insecure and have attention-seeking tendencies. Responding to them gets you nowhere, so just don't. It might be hard but if you can, you won't even need the remaining 11 tips that follow this one. Every professional worth their salt knows this one. And it works for dealing with hateful people as well. Whenever you are attacked, delay your response by 24 hours. Don't react to the initial attack because you would be letting anger and emotion cloud your judgement. You might say and do things which you might regret later. Not a smart idea. So wait on it, sleep on it and then get back to it. Not letting the hate put out by other people is key to knowing how to deal with people who hate you. Think of hate as a poison. It is toxic. It is a scientifically proven fact that feeling negative emotions such as hate is bad for your physical health. So don't hate the other person back, because you don't deserve to feel like that for something someone else did. And he or she probably doesn't even matter to you. Hating is on the other person. But letting that hate affect you is on you. A good way to avoid being provoked is to know what provokes you in the first place. Think of it as a defence mechanism. When you know what pushes you over the edge, you immediately become conscious every time someone does something to instigate negative feelings in you. In short, know what pushes your reaction buttons and restrain yourself. It is important to realize that you are not going to get everyone to like you. As a wise man puts it, “you could be the sweetest peach in the world, but you will always find someone who hates peaches”. Most successful people take hate as a positive factor to know that they are on the right track. However, all this probably isn't true if everyone hates you! Then you might just need to introspect. But hate cannot be avoided either way. I'm not going to tell you not to apologize or to apologize all the time. Neither way is correct on its own. It is completely acceptable to stand your ground sometimes. Other times, when you think you are at fault for provoking hatred from the other person, try apologizing. It helps to smooth the creases. But for people who are just mean, don't make excuses for who you are. Just keep doing your thing. It is a fantastic ability to be able to shut things out. Indeed, it is one of the self-defence mechanisms the human psyche has. Every time you see someone make a rude or distasteful comment, hit that button and remove it from your life. It's like giving your badly behaved puppy time in the box. Just as it'll come out more well-behaved next time, you hater too will refrain from repeating their acts again. A good way to know how to deal with people who hate you is by acknowledging that your hater may not always be wrong. Sometimes we are affected by hate coming from others because deep down inside we think they might be right. Know your weaknesses and shortcomings so that next time they are attacked, you can say “I know, I'm working on it.” This will serve as an anti-climax to all the negativity and help break that cycle. Avoid Violence at All Cost! Seriously, never use violence. Never. This will lead to more complicated issues. Settling conflicts through fights to death was popular with the Romans and look where that got them. Avoid throwing punches at all costs. It shows that you are weak inside and it will only rile up your hater further. Moreover, it gives more people a reason to hate you. That is the last thing you want. You will never find one. An emotion like hate is often an irrational one. It comes from insecurities set deep within the person doing the hating. It is futile and a waste of time and effort to keep searching for a reason of why they hate you. They just do. Accept it and deal with it with the above mentioned steps. Getting over hatred is a psychological battle and you do not want to lose it by focusing on the wrong things. If you are dragged to a point where the hate is getting so bad, you can't take it anymore, speak up for yourself. Take a deep breath, calm yourself and just tell the hater that you think they are wrong about you. Don't attack them in return, just put up a rock solid defence and let them know in whichever way that they do not matter. This will not only let you vent your irritation but also instill respect for you in the other person. The final mantra to knowing how to deal with someone who hates you is by realizing that as time passes, everything gets better. Even from the hater's perspective this holds true. No one can hate someone for their entire life. It is just a temporary phase born out of distasteful feelings, so just relax and let time do its thing.